I offer this discount for a number of reasons. 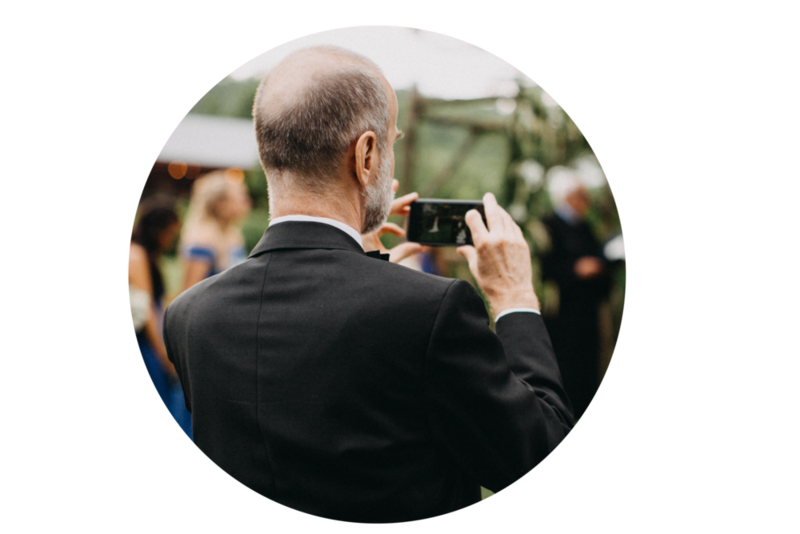 The first is simply because when you're looking back through the images from your ceremony it can be distracting to have 20 cell phones peeking into the aisle during your first kiss or while you're walking towards the groom. Also, it allows your guests to take a step back and simply focus on the beginning of your marriage which gives me the opportunity to photograph them laughing and hugging instead of staring at a screen. You make a best effort attempt to ask your guests to put their devices away for the length of the ceremony (reception is totally fine).